No one ever wants to be stressed out. Especially when warm weather is coming, like Spring and then Summer. Spring is the time to start anew! Maybe some of my own personal tips can help? Tip #1- Spring cleaning is a known phrase for a lot of homeowners, apartment owners, mothers, well, really just everyone. A time when the house you are living in takes priority over everything else. Okay, maybe not to that extent. To make it a little less stressful and to not dread Spring cleaning coming around, why not do it at the end of Winter?! As in do it a little earlier. Get it out of the way before the warm weather comes so you can really enjoy Spring. Tip #2- Try putting flowers up around the house. I actually have flowers everywhere and I love it. All fake, but still very effective. Usually when one receives flowers, you become happy. So flowers help tap into your emotions and help induce a positive attitude. I would love to have real flowers everywhere. Tending to plants is soothing and stress relieving. Tip #3- Walk outside a little more. Exercise is definitely a stress reliever. I'm not saying go run 6 miles outside, just a leisurely walk around the neighborhood or the nearby park. Try to get your mind off things or the other way around and give yourself time to think about things in life! A little quiet time to yourself can help in a lot of situations. Tip #4- When the weather is appropriate, open the windows. Fresh air never hurt anyone. Nature can be a huge stress reliever. 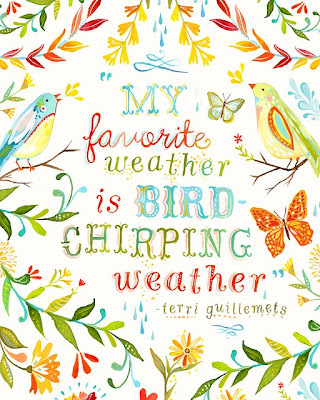 The sun can brighten up a mood or even the sound of birds outside. Bring that sunshine in and load up on the Vitamin D you were missing out on this past Winter! Maybe they work for you, maybe they don't. But everyone should love to be stress free! Last day to enter to win a t-shirt made by me! Go HERE to leave a comment! I can't wait for the spring-like weather we are supposed to get this weekend! Walks, trips to the park and opening the windows are all on the agenda! Yes exactly! I want some tulips! Hey... Just popping over and following on GFC from Aloha Friday Hop. I would love for you to stop by my blog sometime and if you like follow too. :) Hope you have a great weekend! We have been getting Spring weather the past two days. It's glorious! I love those flowers, what a cute idea. :) I can't wait for open window weather!! I love spring nothing says spring better than some flowers ! Hi I'm James and I run Daddy Space a blog about our three wonderful children and family life. I'd like to take this opportunity to invite you to join our blog hop, Saturday Bloggy Takeaway. Love the blog looking forward to future posts. Love this! I'm so excited and ready for spring! It's in the air, depending on the day! 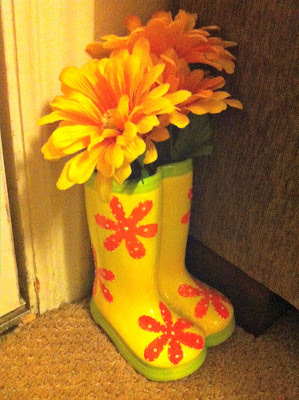 The flowers in the boots are so cute! I love using fake flowers, and the dollar tree sells them for so cheap! 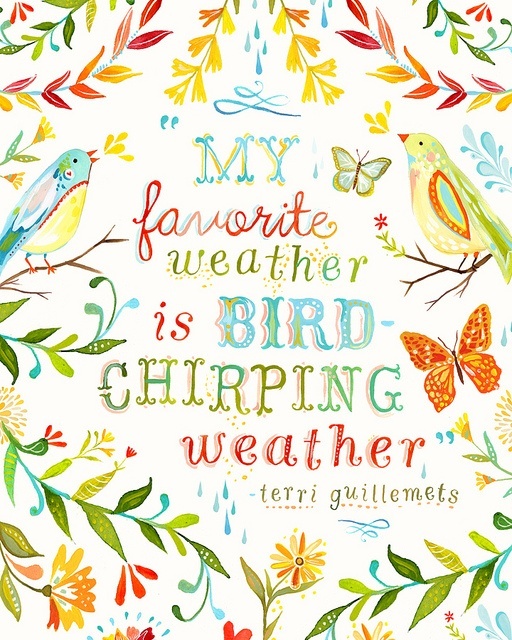 We'll hold on to this spring weather for as long as we can before it gets crazy hot and humid in NC!